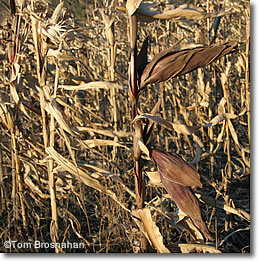 This corn, left on the stalk for the birds, is in a historic field not far from my house. America's Revolutionary War began because British troops came out from Boston seeking an arms cache in the house of Colonel Barrett nearby. 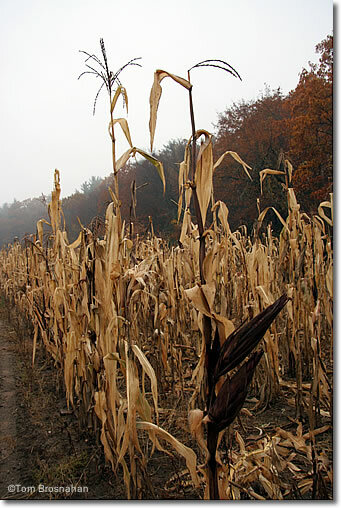 The Redcoats never made it to this field, having been driven back by Minutemen at Concord's North Bridge.